Hey everyone! Today's post is mainly aimed towards people who are new to the bullet journal community, especially people that haven't even started a bujo yet and are still deciding on how to go about this. In fact, I have just started a category of posts on my blog that would be good for bujo newbies in particular. Also, if you're a student and still on the fence about having a bullet journal, then here are several reasons why you should use a bullet journal if you're in school. Anyway, as you can probably tell from the post title, today I'm going to be talking about what you need to start bullet journaling (and I kind of have two sets of answers for this question). Keep on reading! Random note: this post was supposed to come out yesterday, Thursday the 20, since my post schedule involves posting every single Thursday. Unfortunately, I couldn't finish it until today, Friday the 21, since I was having very bad technical difficulties. Sorry! But anyway, keep going. First of all, what do you really need to have a good bullet journal? 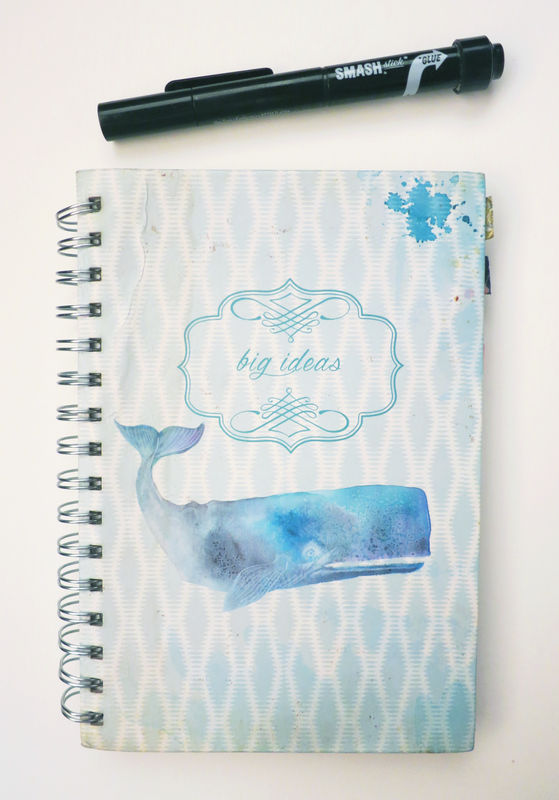 Well, not much; to keep it minimal, all you truly need is some sort of a notebook and a writing utensil. You could use anything from a $1 spiral notebook from your local supermarket to an ultra fancy, handmade journal made from the scales of the dragon king. You could use a complimentary ballpoint pen from the dentist, a pencil you pilfered from the school floor, or a fountain pen with a nib forged from the purest of phoenix flames combined with the ink created from the blood of slain foes. It really doesn't matter at all. All that matters is that you have something to write with and something to write on. Using cheap stuff might even be better for some people. I know of a lot of seasoned bullet journalists that started out with super cheap supplies to dip their toes into the metaphorical bujo waters with. 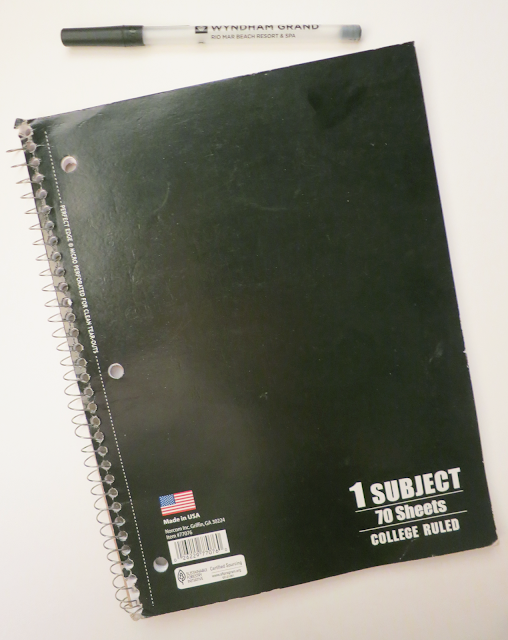 I, for one, started out with a $3 wire-bound, lined notebook from Marshall's, and it didn't make my bullet journal system any better or worse. However, if you feel like you're really serious with this bullet journal stuff, you might want to get more expensive stuff. Plus, let's face it: using smooth, high-quality paper and nice pens of all sorts of different colors is just so much more fun! 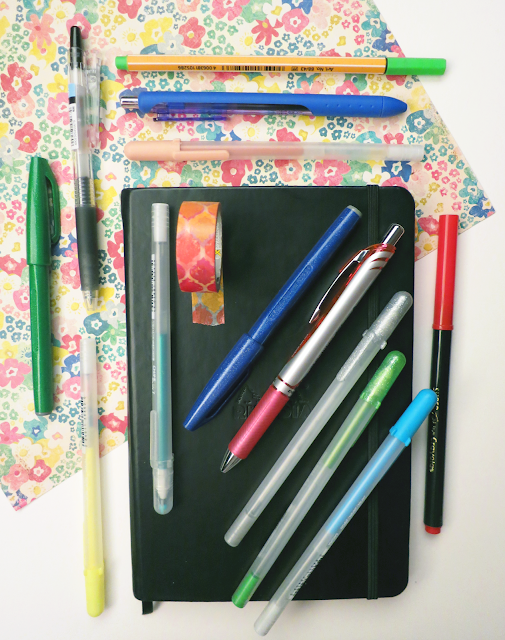 Keep in mind that using fancier supplies won't necessarily make your bullet journal work better, but superior stationery can be very satisfying to use and good motivators to use your planner more. So, this is where we get to . . . There are so many different options out there, especially when the internet shows us all of the different things we could get. Ah, the paradox of choice! To help out all of you bujo newbies that are completely lost and have no idea how to spend your hard-earned money (or the hard-earned money of your parents or spouse . 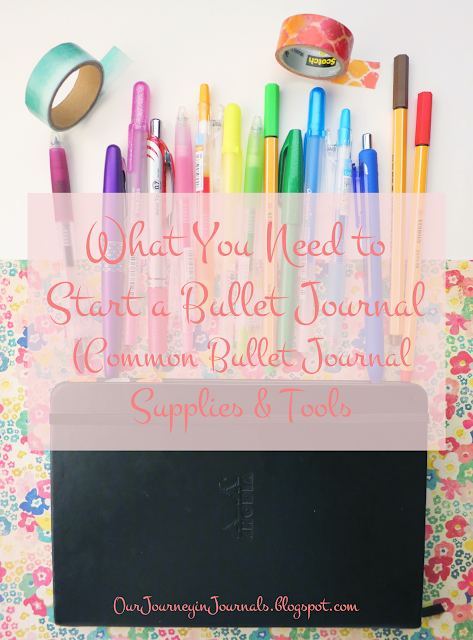 . .), I've created this list of supplies that I've seen pop up in the bullet journal community over and over again. If you want a bullet journal "pack" inspired by our very own Boho Berry, then check out what has been dubbed the "Kara Kit!" Some of it is actually quite similar to what a "basic" bullet journaler would use. First up, pretty much the guts of your bullet journal: the journal itself. There are many different sorts of notebooks out there (like Filofaxes and traveler's notebooks), but the overwhelming majority of people use traditional notebooks (the type of "normal" notebook that you usually see). The undisputed winner of this category is the A5 Leuchtturm 1917 in dot grid. Dot grid is very popular for bullet journaling because it offers a good mix of visual flexibility and rigidity to suit the needs of all of your different spreads. A5 is a popular size since it's small enough to be convenient to carry around, but you can still comfortably write and do everything you need to do. 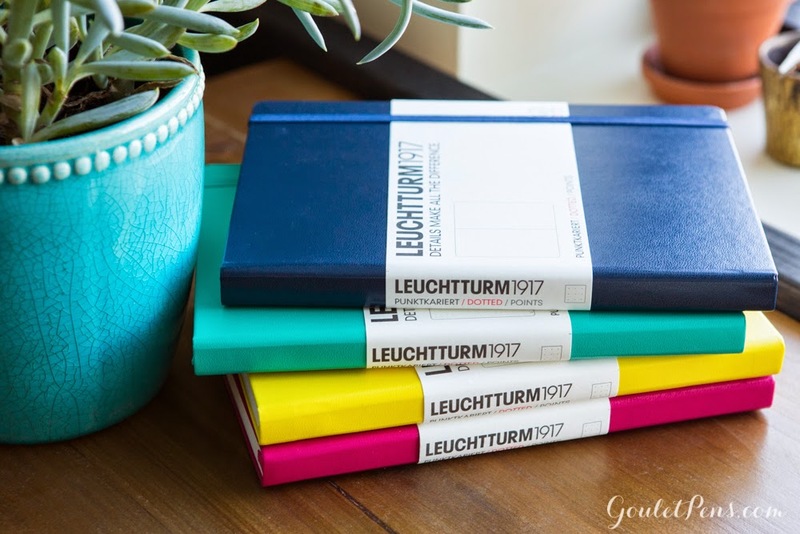 Leuchtturm notebooks have several features that set them apart from run-of-the-mill notebooks, such as pre-numbered pages (which is helpful for indexing) and two ribbon bookmarks. Moleskine dot grids are also somewhat common with beginners, but I personally do not like the paper of Moleskine notebooks in general. Continuing with my analogy, if notebooks are the guts, then writing utensils would be the blood (because they're both liquid? That's really it). There are four main types of pens, and I'll be covering all of them (except for rollerballs, because they're pretty much like wannabe gel pens). Fineliners are felt-tip pens, such as markers. For color, the vast majority use Staedtler Triplus Fineliners, which have 0.3 mm tips. They're very easy to find in the USA; you can even buy them at Target. 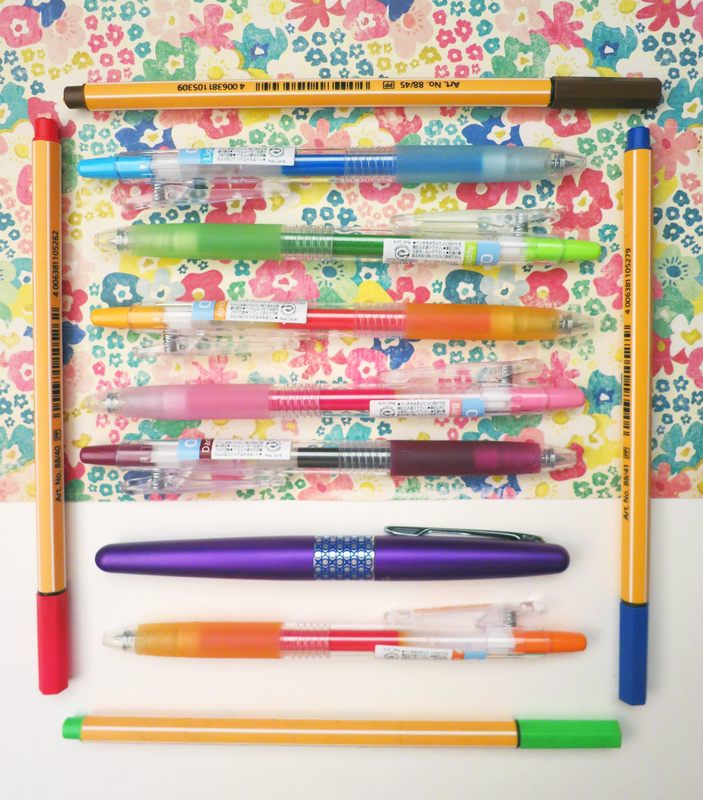 There are also quite a few people, but not nearly as many, that use Stabilo Point 88 Fineliners. Pretty Prints & Paper did a video comparison of these two pens. 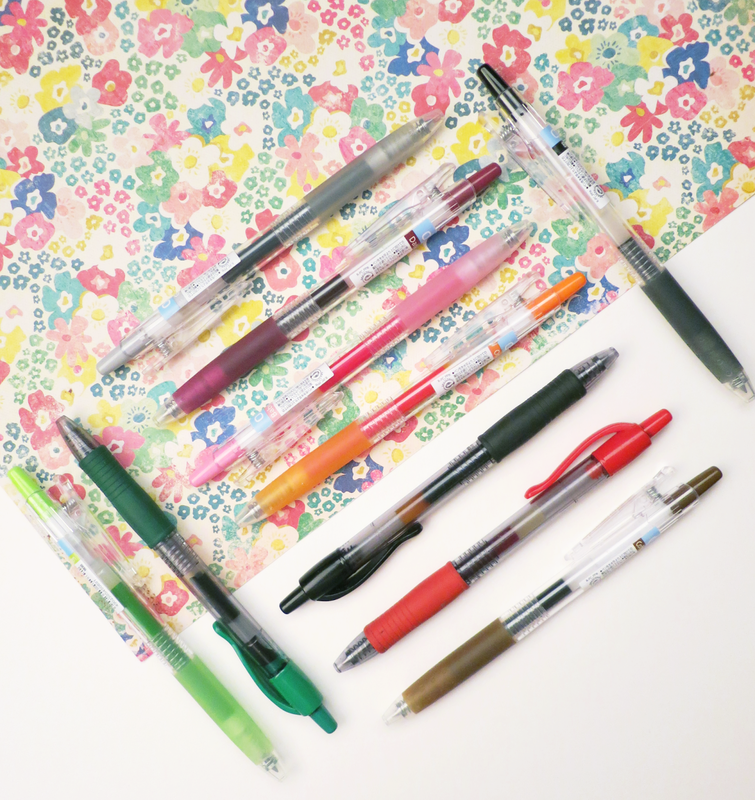 For just everyday black writing, most people use the Staedtlers Triplus Fineliner or the Faber Castell Pitt Artist Pens, which come in several different tip sizes. I would dissuade against using the Stabilo fineliners for normal writing because the 0.4 mm tip can be too thick for 5 mm ruling, which is the standard width for grid paper (including the dot grid of Leuchtturm notebooks). I personally use gel pens for all of my general writing in black, and for a lot of my decorative/ornamental writing, too. In general, they're more comfortable and ergonomic to write with than fineliners. The most widely-used gel pen for bullet jouranlists (and for people in general) is the Pilot G2. This is an incredibly renowned pen in America, and you can buy it pretty much anywhere that sells pens. It comes in 1.0 mm, 0.7 mm, 0.5 mm, and 0.38 mm and in many different colors. 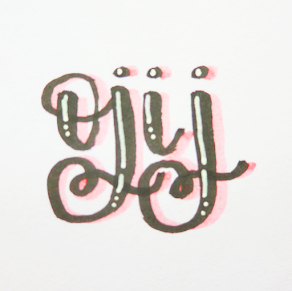 However, my personal favorite gel pen (and the one I use all the time) is the Pilot Juice, specifically with a 0.5 mm tip. In my opinion, they are much better than the G2s, and based on how often I see them pop up on Instagram and such, I know that there are bullet journalers out there that agree with me. I feel like the bullet journal community is part of the reason that fountain pens are regaining some traction in places of the world where they generally aren't in use. In both the bujo world and the pen world, the Pilot Metropolitan is widely accepted as the number one fountain pen for beginners. I myself own one in Retro Pop Purple, so I can personally vouch for their quality. 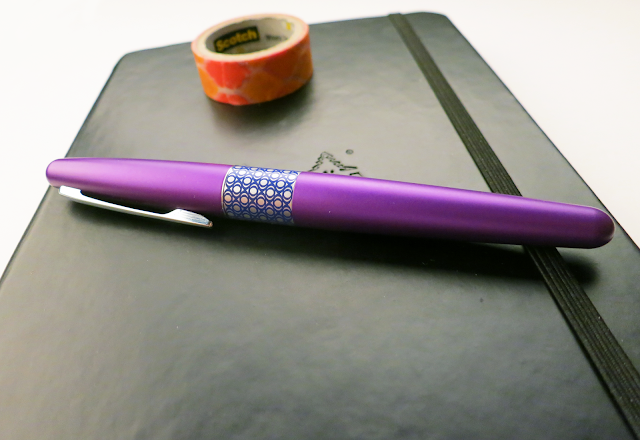 The LAMY Al-Star and the LAMY Safari are also often recommended to beginners. Here is a video comparison of the Al-Star and the Metropolitan (with the Safari mentioned). Most people already have Crayola markers or something like that at home, but some people want to get fancier, art markers specifically for their bujo. The most popular option for this community are the Tombow Dual Brush Pens (they're called pens, but markers are simply a subset of pens). They have two sides (a bullet tip and a brush marker), and they come in over a hundred different colors. They also come in a bunch of different types of packs, and there is also a colorless blender available. Along with normal coloring and decorative purposes, the brush side is often used for calligraphy. There are also a lot of random things that people use in their bullet journal, such as stickers, washi tape, and sticky notes, but since these are things that you can pick up from a bunch of different places, I am unable to recommend specific brands or "models." However, this 6" metal ruler is very popular on Amazon with bullet journalists (though reviews seem to indicate that you should be very careful when taking off the sticker). 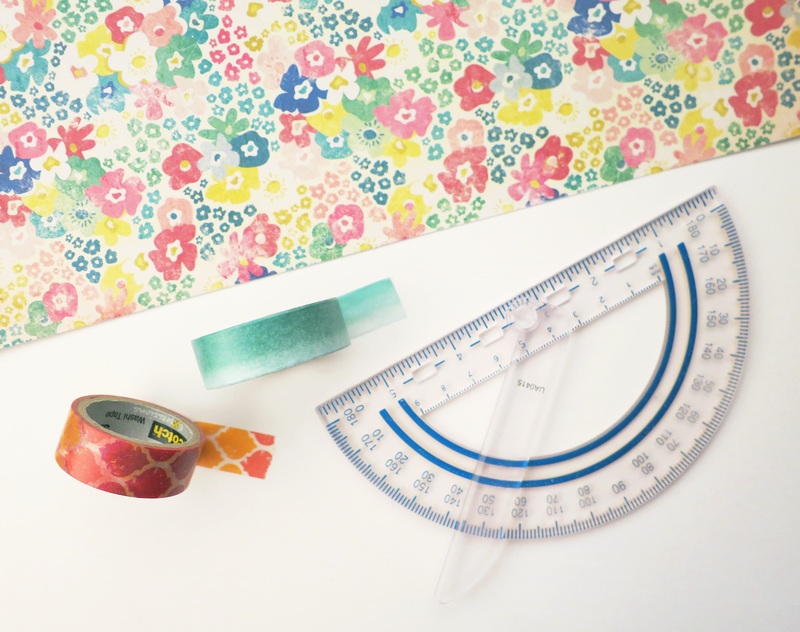 I hope this post was helpful to all of y'all bujo newbies (or bujo seniors) that are looking for new supplies and stationery! Though new pens and such can be really fun, just remember that awesome supplies will not necessarily step up your bullet journaling game; only you can truly do that. I know that I sort of sound like a broken record, but I think it's an important message. What are your favorite supplies that you use in your bujo? Comment down below! I have 2 standards that I use for all my journaling, bullet or otherwise. They're a little pricey but *f you're committed to journaling they pay for themselves quickly. They are pewter refillable pens embossed with various Celtic designs. Some take Parker refills while others take Cross. I solely get the former because they have gel ink refills for Parker pens and that is my preferred ink type. My other staple item is my refillable leather journals from oberondesign.com. they are beautifully embossed in various designs and come in an array of sizes and colors. I have several of these, using each one for a different themed journal (gardening, quilting, fitness, etc). I have had most of them for many years, my oldest one being over 20 years old, and they are still in stellar condition. Again, they are refillable and the refill inserts are available on their website. Seriously, as a long-term lover of writing I can't race about these two tools enough! I also like the Pilot Precise V5 RT, The Pentel Kirari Gel 0.7 (http://www.tokyopenshop.com/kirari-gel-7-p-901.html...), and the Pentel Hybrid Technicas in various sizes. My bullet journal is mostly business so I don't use much color if any. One more thing, I also love the journal covers from Oberon Designs. A bit pricey unless you get them on closeout (I think I got mine for $38), but super durable and beautifully made. I think it may last forever too. One thing I did add was a pen loop, there really is no great way to keep a pen with your journal otherwise. Oh and for the notebook, right now I'm using a Large Moleskine hardcover (13cm x 21cm). The paper isn't good for markers but great for writing and doodling. There is ghosting but I don't mind, also some wetter pens can bleed through. Leuchtturm 1917 is probably a better way to go. Baron Fig also has a nice line of notebooks that are great for bullet journaling and the paper is fountain pen friendly, providing it's not a big wet broad nib. Anyway, I've been meaning to try out the Baron Fig notebook sometime. They seem like they would hold up really well to any sort of medium, which is something that's really important to me.